Liberation Day is a public holiday on the island of Guernsey celebrated on May 9. It commemorates the end of the German occupation that lasted from 1940 to 1945. Guernsey, Jersey and a number of smaller islands make up the Channel Islands, an archipelago in the English Channel, located off the French coast of Normandy. 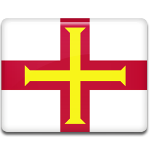 They include two Crown dependencies of the United Kingdom, the Bailwick of Jersey and the Bailwick of Guernsey (consisting of Guernsey, Alderney, Sark and a number of small islands). The Channel Islands were the only part of the British Isles to be occupied by Nazi Germany during World War II. Following the defeat of the Allied Forces in the Battle of France, the British government decided not to defend the Channel Islands because they had no strategic importance. The islands were demilitarized, and islanders began to evacuate. Guernsey evacuated 80% of schoolchildren, most of whom were separated from their parents and sent to England and Scotland to stay with foster families. Most adults (about 30,000 out of 42,000) stayed on the island during the occupation. The German forces invaded Guernsey on July 1, 1940 and bombed the harbor. Many islanders lost their jobs when businesses began to close down. Some of the islanders (mostly Jews) were deported to labor and death camps. The situation became especially grave in 1944, then the Allied Forces severed German supply lines for food. As a result, the islanders faced starvation. It took months of negotiations before the Red Cross ship SS Vega was permitted to bring food, soap and medical supplies to the island. On May 8, 1945, Germany capitulated and the war was over. The following morning, the occupying forces surrendered unconditionally, and Guernsey was liberated. The anniversary of the island’s liberation is a public holiday on Guernsey.